Comments: This is a very large growing shrub that produces palm-shaped, marijuana-like foliage and spikes of striking flowers, usually violet colored although other colors can include white, pink and blue cultivars. It blooms at a time when few other shrubs are in flower. 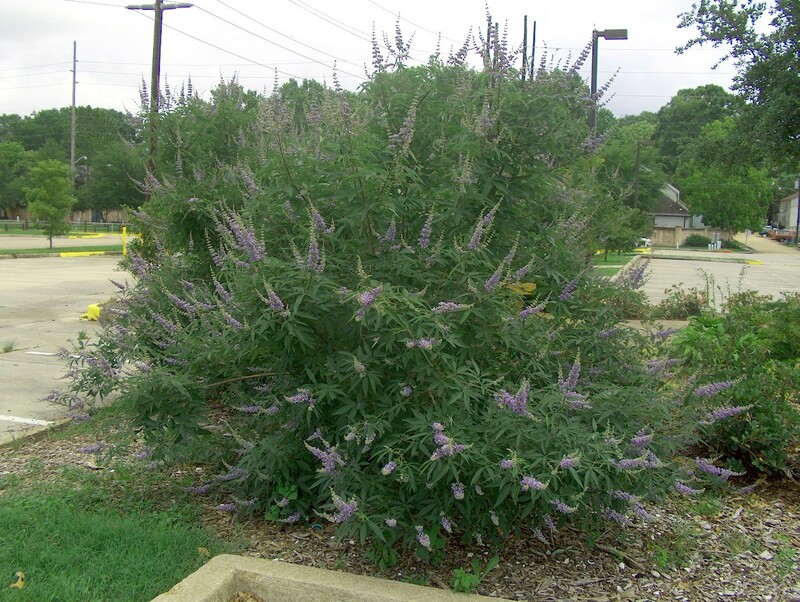 Vitex probably blooms best and lasts longer if there is a slight drought stress. Plants become tall and thin if the soil is too moist and fertile. This plant is prone to have terrible fungal leaf spot disease that defoliates it during the summer. Always provide well drained soil and full sunlight and place plants where there is good air circulation to keep the leaf disease problem to a minimum.